Because of being developed based on WordPress platform, MicrojobEngine has 3 basic building blocks: a header, the content, and a footer. The footer contains all the information that needs to be at the top of your site including the site title, site logo, navigation menus, etc. 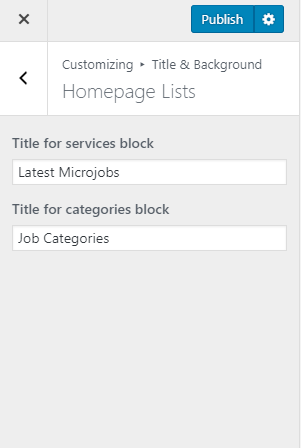 The content block contains the homepage search, homepage lists, homepage before the footer, etc. The footer contains the information that goes at the bottom of your page, such as links to other Pages, copyright, contact information, and other details. 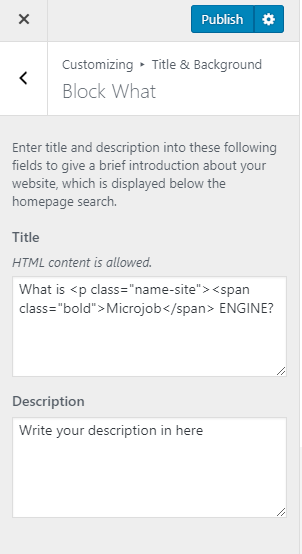 Site title: Your site title is the bit of text that you see at the top of your browser when you’re visiting your website. Tagline: It is a short statement telling visitors why your site exists and what it’s about and locates at the top of your browser. Site Logo: Your site logo is located in the left corner of the web. Site Icon: It is used as a browse and app icon for your site. Navigation menu: It acts like a category title that is not clickable. When you hover over it, you can see the subpages. 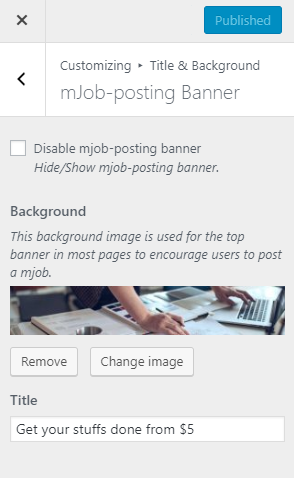 With the mJob posting - banner, you can set the background image and title used for the top banner in most pages to encourage users to post a mJob. 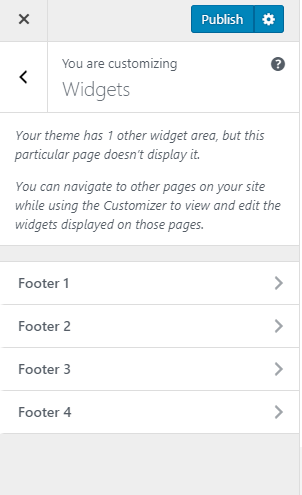 You can add as many as 4 footers and a blog sidebar for your footer section. Custom Menu widget: it allows you to display information linked to other pages, categories, and custom links. Text widget is used for many purposes such as display your contact email, latest mJobs, deals or special events on your website, etc. Social menu in footer: It connects users to your social pages. Copyright: The copyright information is shown in the footer as a way of stating your claim over a site. HTML is supported.